Manaica came to live in Fond Blanc in September 2014 with her big sister Loudiana from Artibonite. Although she’s gotten bigger since she first arrived, she still gets lots of attention from all who come to the orphanage. Manaica is small but she is definitely a busy little lady. She is always running around and up to something. She is friends with everyone here at the orphanage. She loves to jump rope with all of her friends but her best friend is Davison. She talks quite a bit and loves to tell stories to her friends. 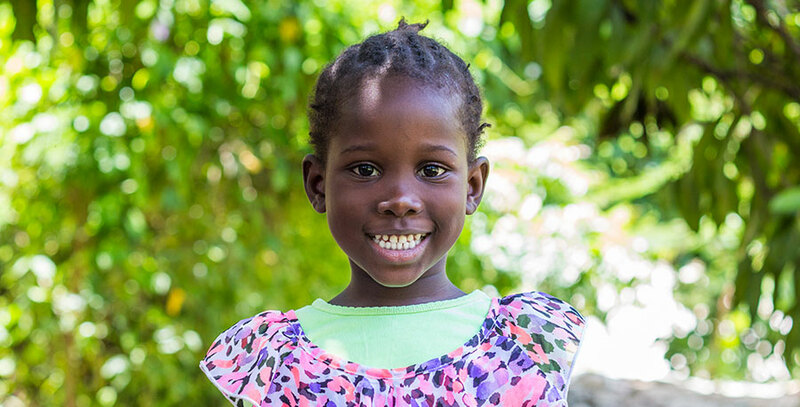 When she grows up, she wants to be a nurse so that she can help take care of others in need.